The Bed Rail AdvantageTraveller is the most portable bed rail on the market. It folds for travel, fits in your suitcase and requires no assembly. The Bed Rail Advantage Traveller is the most portable bed rail on the market. 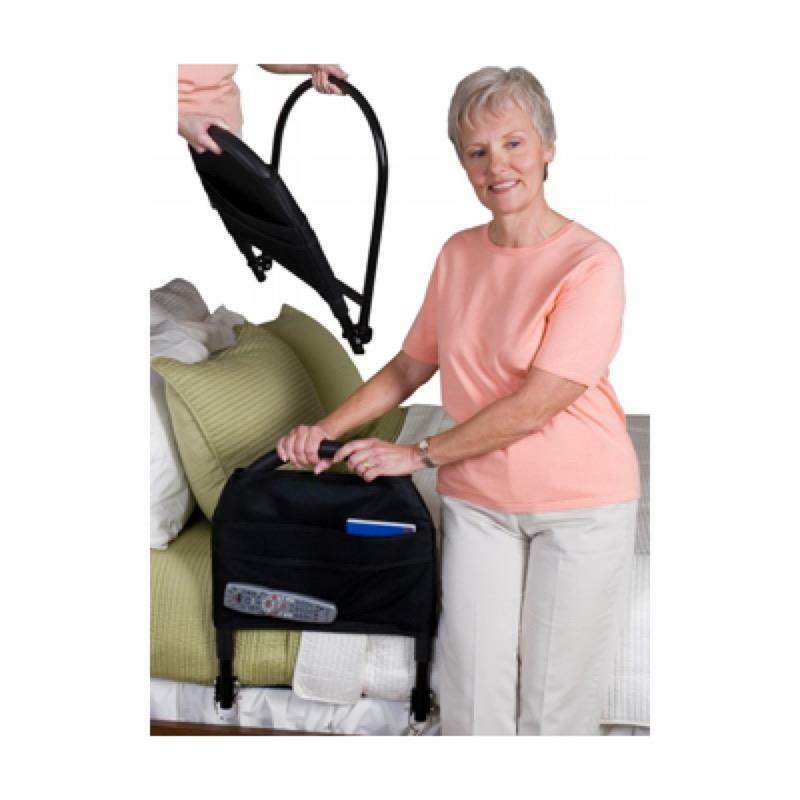 It folds for travel, fits in your suitcase and requires no assembly. The Bed Rail attaches to any size bed frame and includes a safety strap. Not only will it support you when getting into and out of bed but it will prevent you from falling out of bed too. It features a comfortable cushioned foam grip and a 4-pocket organiser which is extremely handy for keeping items such as books close by. The Bed Rail is also sized to accomodate a thicker pillow top mattress.